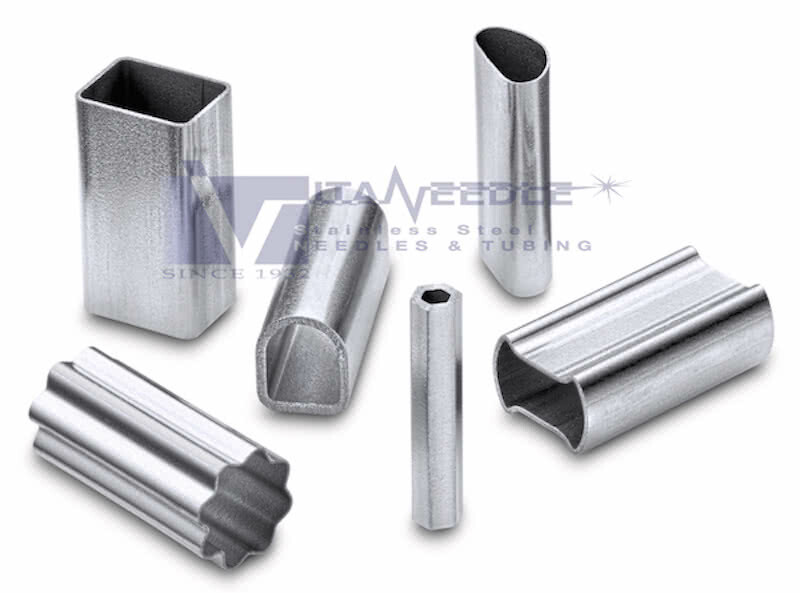 Shaped tubing refers to tubing that is not round (circular) in form. 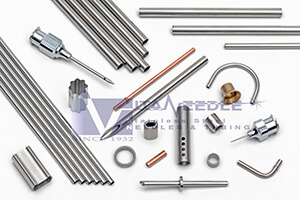 Frequently, applications involve some type of stainless steel support for a product, a path or race for fiberoptics or other smaller components, or a dispensing application. Depending on requirements detailed by the customer, shaped tubing can be made stronger in some directions in a similar manner to the concept of an I-beam. All tubing drawn into shapes has to be formed through custom manufactured dies and subsequently straightened though specially formed tooling for straightening profiled tubing. In some cases, customer requirements result in a modest engineering fee for the design work associated with developing a method to form the tube. 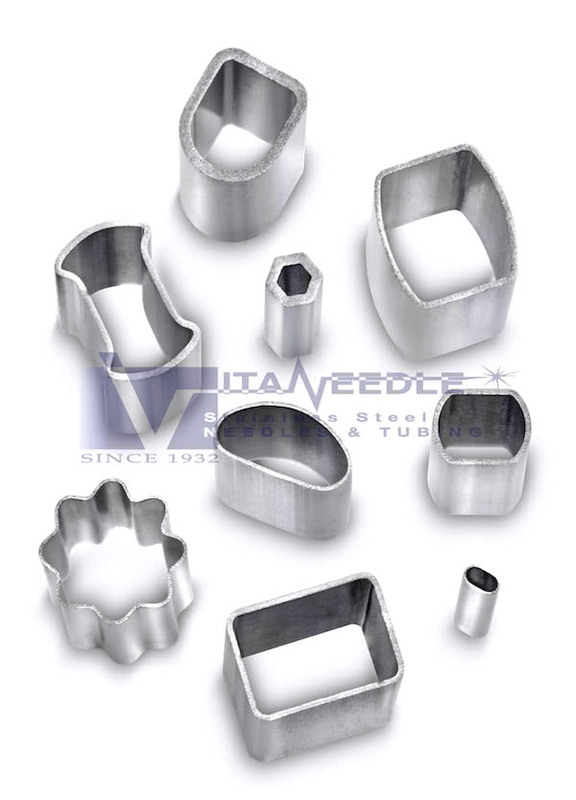 Vita Needle supplies shaped tubing in a variety of alloys, most popularly in 304 or 316 stainless steel. However, all alloys that Vita Needle produces can be drawn into shapes provided the shape is capable of being formed. One factor to consider when sourcing shaped tubing is tolerances placed on non-critical features of the tube. Controlling radii and angles too tightly on an engineering print can increase costs and in some cases render requested product unmanufacturable. Increasingly sharp corners on shaped tubing (at the corners of a square, for example) increase manufacturing complexity. An additional consideration is cutting the product to final length or secondary forming. Because shaped tubing may be difficult to cut accurately and burr free, Vita developed tooling that permits accurate completion of these operations with rapid turnaround. Many of our secondary forming operations are also available on profiled tubing, subject to some operation-specific limitations. We welcome inquiries on any shaped tubing. Please advise alloy, relevant tolerances, process (seamless or welded and drawn) and quantity on any inquiry.